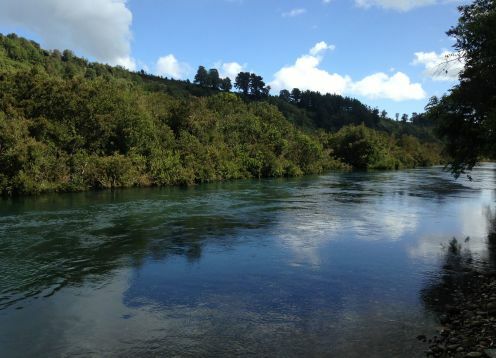 The Maullín River is born in the locality of Llanquihue, in the lake Llanquihue for and it ends at the Pacific Ocean. It has a length of 85 km. The Maullín River (mapudungún: immutation of mau and lliuñ, and means waterfall or waterfall) corresponds to the Llanquihue Lake drain. This is a river of pluvial regime, that drains a basin of 4.738 km ², originates in the extreme suroccidental end of the Llanquihue lake in a point next to the railway station of the city of Llanquihue.